Saki is broadly interested in clarifying the spatial distribution as well as the ecological and evolutionary dynamics of viral infections and their control measures across epidemiological scales. She draws from relevant public health issues including spatial heterogeneity in susceptibility to vaccine-preventable diseases such as measles, and the emerging threat of antigenically diverse enteroviruses in the Asia-Pacific region and beyond. 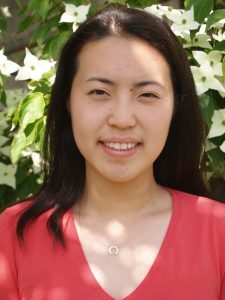 Saki received her AB in Applied Mathematics from Harvard (2011) and ScM in Epidemiology from Johns Hopkins (2013).